Revel in me...: The biggest ____ I have ever seen. 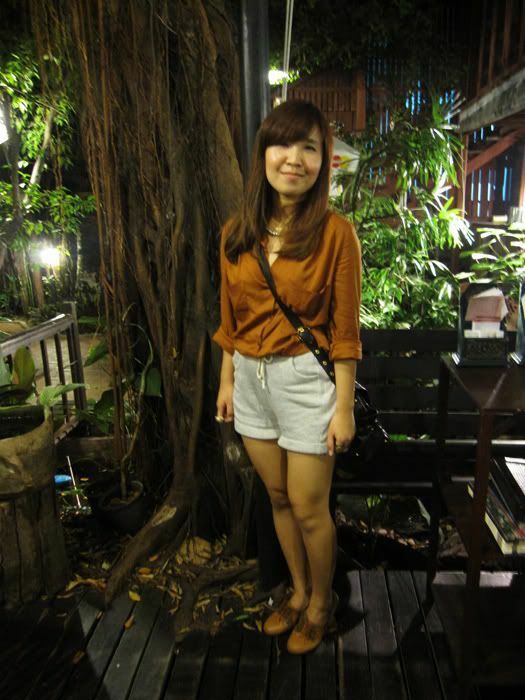 Just some random pictures from my first day in Bangkok last Saturday. Jing and I didn't have lunch, and we opted for Old Town Kopitiam at LCCT for a quick bite-- with approximately 20minutes till boarding time. And as luck has it, all the workers were SO SLOW. Giving me dazed looks and blank stares when I chase them for my food, and shrugging whenever I ask them to hurry up. -_- At one point, I wanted to go to the kitchen window and take the food myself!! They were that slow. 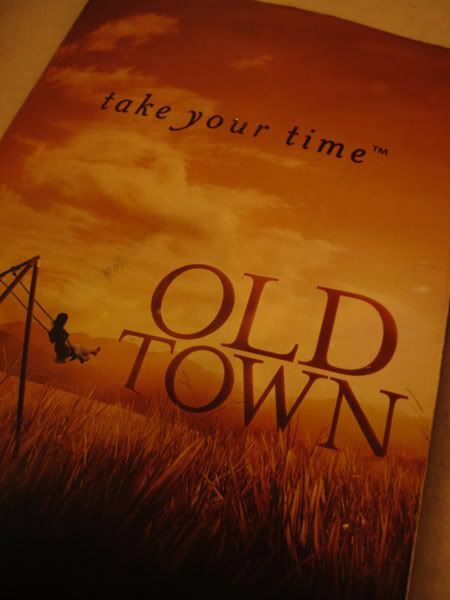 Old Town's tagline, hahaha That will explain their slowpoke inefficient ways! I absolutely ADORE the casual cool comfy effortless chicness in this editorial! The type of girl I want to be, hehe. 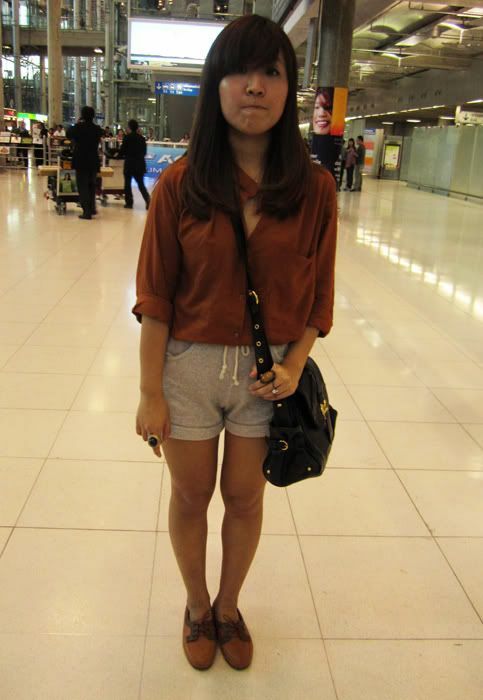 Jing thinks I am crazy for wearing sweat shorts for anything other than gym though... However I insist they are too comfy to pass up! 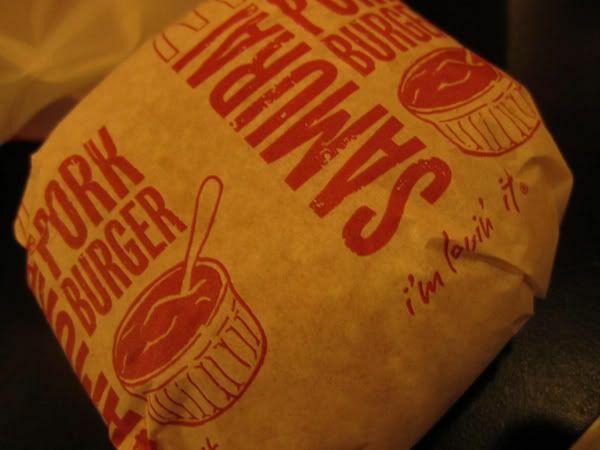 Having McD's pork burger for the first time! It tasted scarily like the Chinese braised pork dish with man tao (tung po pork). Never ever upsize your McD's value meal! 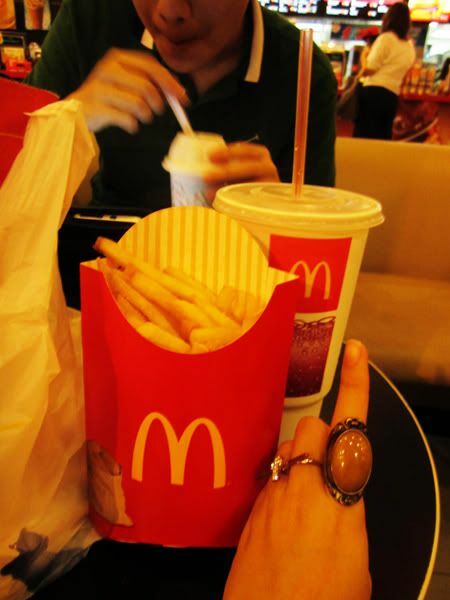 This was how huge my value meal was-- please compare the height of the french fries box to the length of my finger. The drinks is huge as well! Imagine the tumbler we used to bring to primary school. -_- GINORMOUS that's what they are! Your shirt is of such a gorgeous shade.. and very daring with the sweat pants too! I saw Andy from http://www.stylescrapbook.com/ work it too. 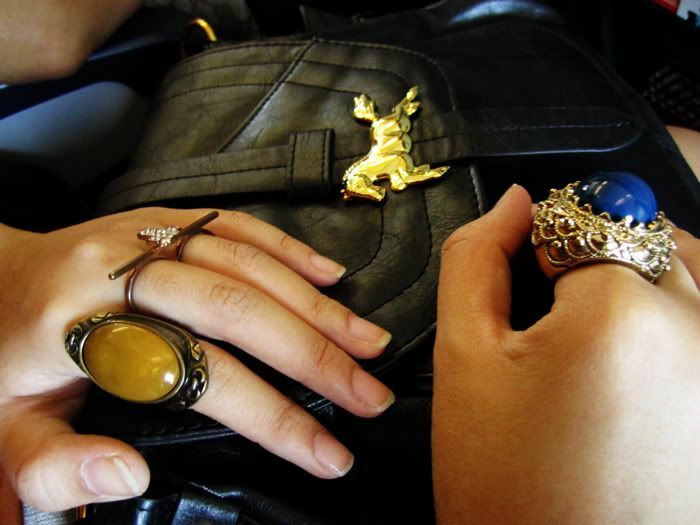 And love your connector ring :) very chic.